A disturbing video emerged this week of two riders being doored on Port Road in Adelaide. The incident captured on helmet cam, clearly shows the driver opening his car door into the path of oncoming riders who are subsequently thrown from their bikes. Both riders were taken to hospital with leg and shoulder injuries. We are incredibly lucky that the consequences weren't worse. The driver received a $183 fine and lost three demerit points for causing a hazard while opening their door. 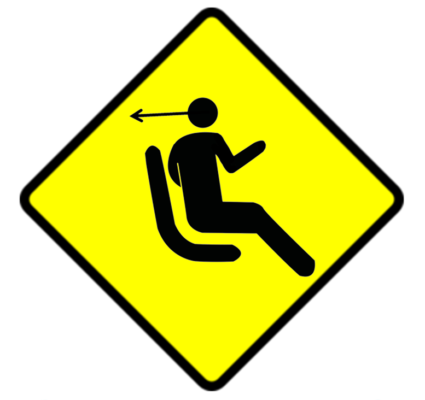 Dooring is covered by Australian road rule 269(3), but different states have different penalties. While this driver in South Australia received a $180 fine and 3 demerit points, a driver in Victoria would receive a $403 fine, but no demerit points. Dooring is one of the most common crashes for riders and causes serious injury and death, yet available prevention measures are rarely used and the serious consequences are under-appreciated. In Victoria alone, 771 incidents of dooring were recorded between 2011 and 2016, 177 causing serious injury and 2 of which were fatal. Hot spots for dooring are traditionally in the built-up urban environments of our major cities, but incidents can occur anywhere bikes travel alongside parked cars. The risk for bike riders will not go away until wide-spread behaviour change initiatives like the Dutch Reach are entrenched in our culture, detection technology is built in to vehicles or separated cycleways remove riders from high risk areas. You may have heard that phrase “the Dutch Reach” dropped without explanation by Anna Meares in the heavily criticised “Life in the bike lane” campaign being pedalled by the Motor Accident Commission of South Australia at the moment (see below). "Haven't you heard of the Dutch Reach? ", exclaims Meares. Chances are, unless you're across all the bike advocacy lingo, you have not. The “Dutch Reach” refers to a method of opening your car door using the hand furthest from the door. The action causes you to turn your body and take a precautionary look back over your shoulder for any oncoming traffic, including people on bikes. The method is designed for the safety of all road users, but specifically aims to reduce incidents where car doors open in the path of oncoming bike riders. The Dutch method was introduced in the Netherlands in the 1970’s in response to alarmingly high road carnage statistics – and has since become common practice in Dutch society. In more recent times, the rest of the world has cottoned-on to the Dutch method, which has slowly been implemented in traffic safety handbooks and official driver’s manuals around the world. 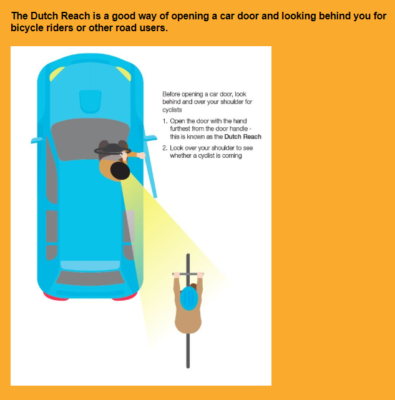 Late last year the UK government announced it will be adding the “Dutch Reach” to the Highway Code as a measure to protect bike riders, pedestrians and other road users. 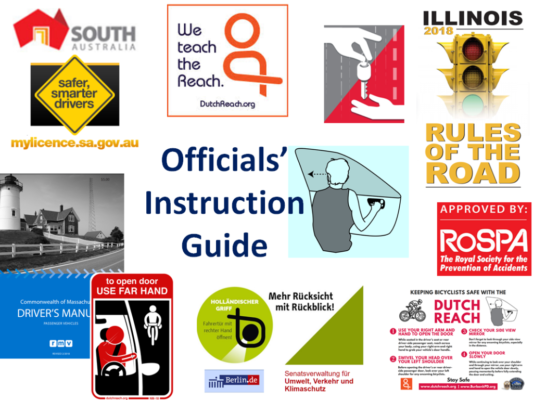 As of January this year, American traffic safety organizations will implement “Dutch Reach” education into their standard driver safety training. Despite this, the method has not yet been adopted to common Australian vocabulary or behaviour, and dooring remains one of the biggest risks to riders in causing serious injury or death. Of course, like all behaviour change initiatives, the Dutch Reach has faced some criticism and critique (mainly that the door pillar blocks over-shoulder view, and that checking your mirrors thoroughly is more effective), but the method is ultimately gaining positive support around the globe and has been endorsed by some of the world’s biggest transport authorities, including The Royal Society for the Prevention of Accidents, the American Automobile Association (AAA) and the Beijing Traffic Police. For those who hadn’t previously heard of the Dutch Reach, hopefully you now have a clear understanding, and next time Anna Meares or anyone else asks “haven’t you ever heard of the Dutch Reach? !”, you can respond that yes, you have. Learn everything you need to know about the Dutch Reach Project here. See Bicycle Network's ongoing campaign against "dooring" here.